I spent my time in Kolkata volunteering at Nirmal Hriday: Home for the dying & destitute. 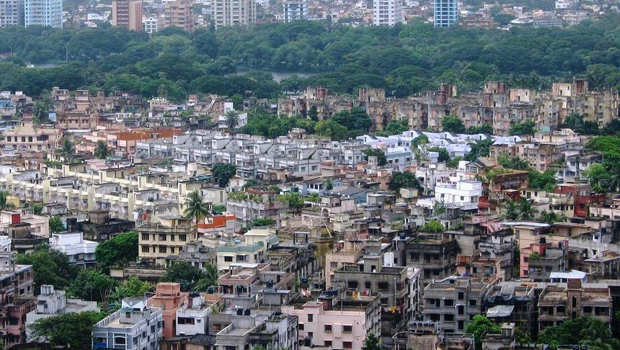 It’s located in Kali Ghat, right beside the famous Kali Mandir (temple). While at NH I met a girl from Germany who volunteers at NH once a week, and spends the remainder of her time helping young females/ladies who are working in Kolkata’s well-known red light district. Where? Just steps outside Nirmal Hriday, in the heart of Kali Ghat. Daily life in Kali Ghat is extremely busy. If nobody told you it was a red light district you would never know. There are lots of stores, people walking around, beggars, shoe makers, food vendors, shoe stalls, fruit markets. But if you really start paying attention to your surroundings, you’ll notice small narrow alley ways, and men lurking about scouting women. And there’s one bridge just outside all the mayhem that has prostitutes literally lined up along the bridge- some sitting on the railings, some standing, trying to lure in every man that passes. Most are wearing traditional saris or suits. One girl who looked in her mid-twenties was wearing a long denim skirt and tight black top. Their face makeup is extremely heavy, and they wear bright bright lipstick. Some stop to listen, some enjoy the tease, and others simply walk right past. This volunteer from Germany was telling me that a lot of the girls she spoke to are from small villages and have been forced into this industry. Somebody comes to the village and tells the girl’s parents that there’s a lot of opportunity for her in the bigger cities and that they could be making a lot of money for the family. This excites the parents and they send her off to Kolkata, the city of opportunity. But instead of her job in a call centre or as a worker in someone’s house, she’s been tricked into prostitution. And the girls continue to pretend they’re working these other jobs, because their families back home are happy and financially stable.